French tosafist and codifier; lived in the first half of the thirteenth century; descendant of a family of distinguished scholars. He is usually cited by the abbreviation . The correct rendering of the word —"from Coucy"—was discovered by Zunz. Moses' maternal grandfather was Ḥayyim ben Hananeel ha-Kohen of Paris. Nothing is known of Moses' life before he settled in Paris to study under Judah ben Isaac, the great French tosafist. He received instruction also from a certain Joseph (Tos. Yeshanim to Yoma 11a, 70b), who can not be positively identified, but who may have been either the poet Joseph of Chartres, mentioned in the "SeMaG" (Prohibition No. 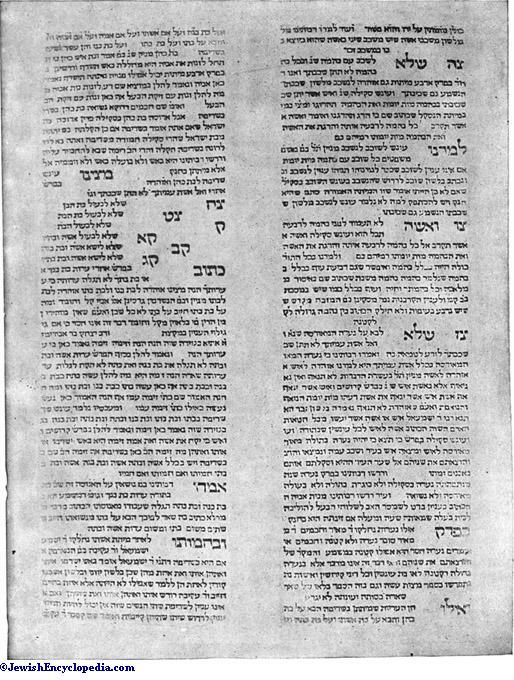 113), or the tosafist Joseph ben Baruch. Moses mentions occasionally Simson ben Abraham of Sens and Baruch ben Isaac of Worms, author of the "Sefer ha-Terumah"; it is usually believed, especially of the latter, that they were his teachers, although he does not expressly call them such. 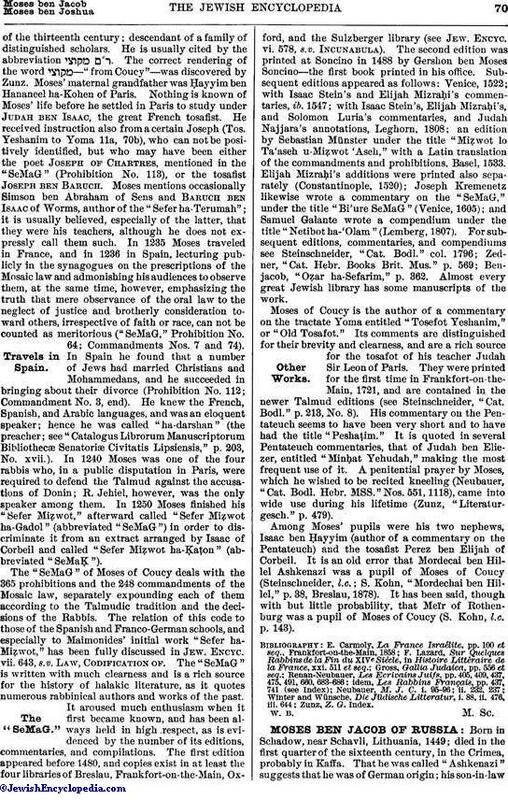 In 1235 Moses traveled in France, and in 1236 in Spain, lecturing publicly in the synagogues on the prescriptions of the Mosaic law and admonishing his audiences to observe them, at the same time, however, emphasizing the truth that mere observance of the oral law to the neglect of justice and brotherly consideration toward others, irrespective of faith or race, can not be counted as meritorious ("SeMaG," Prohibition No. 64; Commandments Nos. 7 and 74). In Spain he found that a number of Jews had married Christians and Mohammedans, and he succeeded in bringing about their divorce (Prohibition No. 112; Commandment No. 3, end). He knew the French, Spanish, and Arabic languages, and was an eloquent speaker; hence he was called "ha-darshan" (the preacher; see "Catalogus Librorum Manuscriptorum Bibliothecæ Senatoriæ Civitatis Lipsiensis," p. 203, No. xvii.). 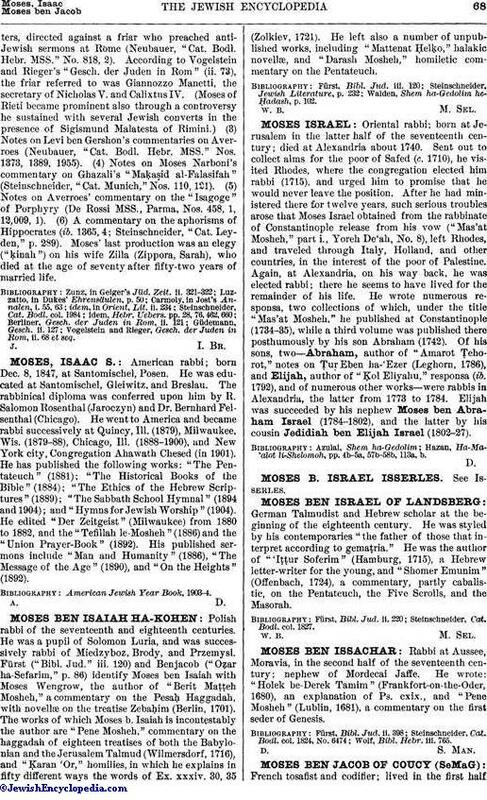 In 1240 Moses was one of the four rabbis who, in a public disputation in Paris, were required to defend the Talmud against the accusations of Donin; R. Jehiel, however, was the only speaker among them. 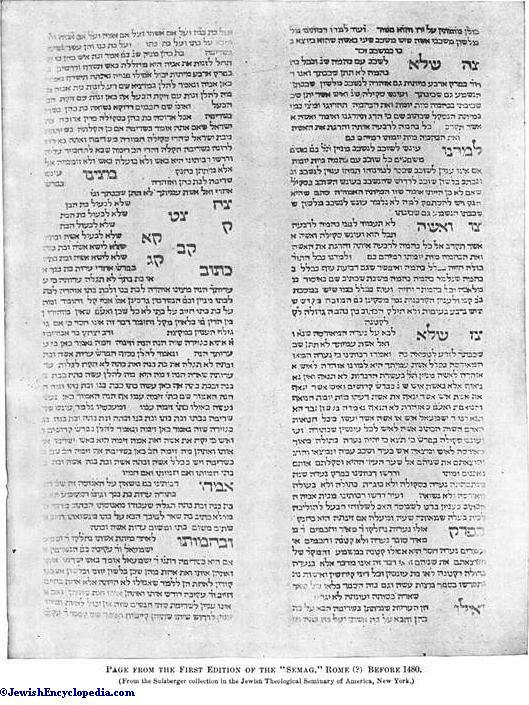 In 1250 Moses finished his "Sefer Miẓwot," afterward called "Sefer Miẓwot ha-Gadol" (abbreviated "SeMaG") in order to discriminate it from an extract arranged by Isaac of Corbeil and called "Sefer Miẓwot ha-Ḳaṭon" (abbreviated "SeMaḲ").